(WiN): Can you talk a little bit about yourself, your background? 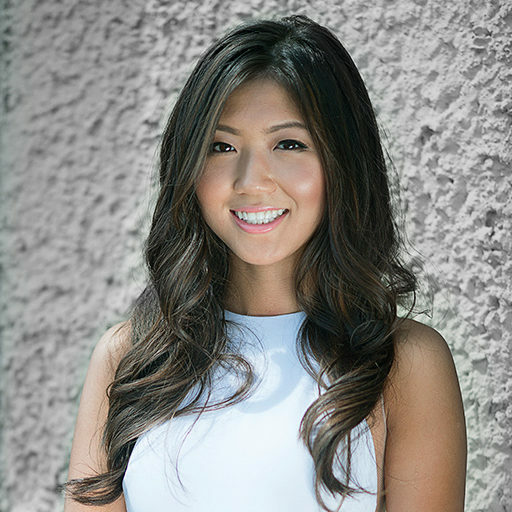 Lisa Yang: I’m from Vancouver, Canada but grew up in Beijing. I’m concentrating in Behavioral Economics in Wharton right now. Two classes I’m taking related to that are Decision Processes and Science of Behavior Change this semester, which are both really fascinating. Growing up in an international environment where I was exposed to diverse perspectives instilled a deep fascination in me. While I didn’t know what I wanted to study when I arrived at Penn, I became fascinated by the intersection of neuroscience and business because it embodies knowledge from diverse fields from Psychology to Neuroscience to Statistics. I was also drawn to the the applicability of neuroscience research today as you can see it being leveraged in business applications such as consumer insights. (WiN): How did you first hear about the Wharton Neuroscience Initiative? Yang: So freshman year, I enrolled in Dr. Platt’s half-credit Introduction to Brain Science course with no prior exposure to neuroscience, but was fascinated by the course description. I was probably the only freshman among seniors and MBA students, but I was super interested by the content of the course, and reached out to Dr. Platt. The Wharton Neuroscience Initiative was just starting the Wharton Neuroscience Initiative Student Society (WiNSS) with Ryan Leone, and I became involved in WiNSS right from its founding. (WiN): Can you tell me a little about the role (student leader) that you have taken on for WiNSS? Yang: WiNSS is still relatively new, so I think it’s a really unique role being Vice President in terms of helping promote the society. So, from the Student Activities Fair to getting people to sign up for our listserv, and then moving onto the next step like researching different companies to reach out to potentially to promote this intersection (of business and neuroscience). A lot of the focus is promoting the mission, and providing opportunities for students to get involved, whether that is through research, through company luncheons, or people on our board trying to create an internship program (research database) and even an undergraduate academic minor and MBA major, so we really are trying to cover as many avenues as possible. (WiN): When did you first develop an interest in research? Yang: So I was always super curious. I always wanted to delve into a problem and figure out what the root of it was, and I think that through taking Dr. Platt’s class, I realized that research was something you could do as an undergrad at Penn, which is really fascinating. The summer after my freshman year, I ran an eye tracking study for three weeks here at Penn in Dr. Platt’s lab, and then this past summer as part of the Wharton Spur Program. (WiN): Can you tell me about your research project in the Platt Lab? Yang: We’ve been doing really interesting studies on brand empathy, and the consumer’s response to brands, bringing that onto a neuro-level. In brand research, it has been mostly self-report in the past, but we have been able to bring neuroscience techniques using fMRI techniques, and seeing the brain responses representing empathy towards brands. One of my best highlights for research at Penn has been presenting our brand empathy study at the ISDN (Interdisciplinary Symposium for Decision Making and Neuroscience) this past summer. (WiN): What courses have you taken at Penn that relate most directly to the mission of WiN? Which has been your favorite? Yang: My favorite so far was definitely the course that got me into it, so Introduction to Brain Science with Dr. Platt, and I’ve recommended it to all of my friends. Last semester, I also took Consumer Neuroscience which was very fascinating and had a lot of applicability to neuroscience and also learning about its faults and how it’s misused in business. I’m currently taking Decision Processes, which has helped me gain a better understanding of the biases and faults in managerial decision making. On a larger level, one of my favorite classes right now is Science of Behavior Change due to the seminar style, discussion based format of the course, and learning about the applicability of academic understanding on human behavior to large-scale issues. (WiN): What can students look forward to from the Wharton Neuroscience Initiative Student Society in terms of what the group looks like and where it is going? Yang: So this semester, we’re really trying to promote a lot of different events. We have monthly lectures from leading professors as well as outside individuals more for the purpose of industry exposure. So we’ve already had Professor Kording come speak about Machine Learning, so that’s kind of a new realm that we’re exploring. This coming month, we have a person coming in from SocialMap.ai, who will be talking about team dynamics and the applicability of being data-driven in that realm. Zab Johnson [WiN Executive Director] has been immensely helpful in bringing the student community dynamic and diverse speakers. We are currently working on creating an academic minor. We are definitely expecting greater exposure and opportunities in the future. (WiN): What is your favorite thing about WiN? What has been the most surprising part of being in WiN? Yang: I think my favorite thing is the diversity of people in terms of the fields that they’re from. So there’s people in LSM studying both neuroscience and business, to English majors who are pre-med, and there’s people like me who are studying business but are super interested in the applicability of neuroscience and the underlying processes driving decision making. So I think the special thing about WiN and WiNSS is that all you need is to have an interest and be curious to be a part of it. (WiN): How can students get involved with the WiN student society? Yang: Anyone can be involved, and I think that’s a really special and important part of it, especially being at Penn where clubs are really exclusive. I’d say the first step is to just sign up for the listserv where you can keep updated on opportunities and choose the lunches you want to go to, which speakers and events you want to attend, so you can just have that resource. (WiN): Is there such a thing as an ideal WiN student? Yang: I really don’t think that there is, and I really believe that that’s such a special part of it. I’d say the one criteria is to be curious. (WiN): What can the average business person with limited exposure to neuroscience take away from the intersection of neuroscience and business? Yang: I think the greatest take away is just a new way of understanding, like an openness to progress and an awareness that, in order to be at the forefront of their industry, businesses need to start taking this into account. They need to have the latest technology and the latest research, and neuroscience is that, especially in consumer insights.